Does the history of psychiatry have an object? And if so, what object? Let us assume for a moment that the first question can be answered positively. The answer to the second question will then seem obvious: the object of the history of psychiatry, we shall say, is the set of medical theories, social and institutional practices, and therapeutic methods that, since the end of the eighteenth century, have addressed madness (in the broadest and vaguest sense of the term). The history of psychiatry, on this score, would be the history not so much of madness, but of the various discursive practices that have accounted for it over time. In short, there would be three discrete, hierarchical levels: that of madness; that of the psychiatric theories and practices that take it as an object; and lastly, the historical metadiscourse that studies these theories and practices in their variable relationship with madness. Consider now what this reassuring stratification of the mad, the psychiatrist, and the historian implies: a deeply ahistorical conception of madness, since madness is supposed to constitute the invariant of the many discourses that take it as an object. The historian of psychiatry, according to this conception, studies the different approaches to a psychopathology whose essence he refrains from addressing (since he is not a psychiatrist), but which he nonetheless takes for granted, never doubting that it exists “out there,” independently of the psychiatric discourses and practices that attempt to define and to treat it. It should be obvious that this historian, however great the metadiscursive distance he takes in regard to the psychiatrist, shares in fact the same ideal of objectivity as the latter. For both, madness is an intangible x, existing on the horizon of their discourses. In the end, this historian and this psychiatrist have exactly the same object. This remains true, let us note in passing, even if that object be conceived, as in Michel Foucault’s Histoire de la folie,1 as a kind of mute, non-objectifiable experience, exceeding all discourse, all reason, and all history. Indeed, one would continue in this case to posit madness – “essential madness” – outside the various discourses that have attempted to account for it in history, thus lending it all the more objectivity as it is inaccessible and elusive. syndromes – hysteria, depression, schizophrenia, anorexia, and the like. But where does he find the definition of these terms, if not in some psychiatric theory? To write the history of hysteria across the ages, as Ilza Veith,2 for example, has done, presupposes that one knows what hysteria is, what symptoms define it, and how to differentiate it from other syndromes. The historian will thus have to start from a certain concept of hysteria (more or less Freudian, in the case of Ilza Veith), and then objectify it and follow its variations through history. Thus conceived, the history of psychiatry is a history written from the point of view of the psychiatrist or the psychoanalyst, whose categories the historian surreptitiously internalizes and ratifies, giving them the status of transhistorical and transcultural realities. The limits of this iatrocentric conception are immediately apparent, and as a matter of fact very few historians of psychiatry would still allow it today. Indeed, what guarantees, unless it be some psychiatric theory, that there is such a thing as hysteria, depression, or schizophrenia? Such a certainty is justifiable only in the case of mental disorders with a clearly organic foundation (tumoral, neurological, endocrinal, toxic, or infectious), as, for example, epilepsy, neurosyphilis, or Alzheimer’s disease. In these cases, we are confronted with disorders that escape (at least to a certain extent) from history and, once they are recognized, insistently impose themselves as objective clinical entities, or else simply disappear owing to the discovery of an appropriate treatment. These organic diseases are, by their very nature, ahistorical: one can, of course, write the history of the way they have been represented, theorized, and treated, perhaps the history of their propagation and their disappearance, and even the history of the way the sufferers experienced them (the history of their “illness narratives,” as medical anthropologists say nowadays).3 But these diseases are not historical in themselves: no matter what time period, a patient suffering from neurosyphilis will always develop the same psychic, neurological, and humoral symptoms. Great War, characterized mainly by aphonia and trembling; or again, the spectacular “Multiple Personality Disorders” of late twentieth-century North America? Clearly, we are dealing here not with one and the same syndrome, but with an array of “transient mental illnesses,” to use Ian Hacking’s term,4 all of which are born, evolve, and disappear in accordance with very specific local and historical conditions. This variability affects no less the other neuroses and psychosomatic illnesses in general. As the historian Edward Shorter has shown,5 a neurotic person was most likely to have faintings and convulsive crises in the eighteenth century, most likely to suffer from some kind of paralysis or contracture in the nineteenth, and most likely today to suffer from depression, fatigue, psychosomatic complaints, or eating disorders. Likewise, the medical figures of the “pervert” and the “homosexual” began to appear, as such, only in the second half of the nineteenth century,6 to be replaced in our time by new distributions and new roles: since the American Psychiatric Association’s 1974 decision to strike homosexuality from the nosology of the DSM-III, hardly anybody still considers that “sexual preference” as a form of mental disease. Even depression, which one might believe is timeless and inherent in human nature, changes according to time and culture: what we consider as a pathology characterized by essentially psychical symptoms has taken in the past and still takes elsewhere7 a somatic form, as in hypochondriacal melancholia; it has been endowed with a religious meaning, as in the acedia of medieval hermits and monks;8 sometimes, it is even valued culturally and actively sought after through techniques of morose meditation, as in the Buddhist pilikul bhavana in Sri Lanka.9 The same holds for female anorexia, which today is linked with a body image promoted by Western media, but which, according to the historian Caroline Bynum, was in medieval Italy (and still is in modern Portugal) a form of religious asceticism associated with bodily purification and sainthood.10 As for what used to be called the “psychoses,” it has long been commonplace in the anthropology of mental illnesses and ethnopsychiatry to emphasize their cultural relativity:11 our paranoiac would, in other times, have been “possessed” or “obsessed” by demons; and in different climes our medicated schizophrenic would have been considered as a sacred being, have become a shaman, or have run murderously amok. associated with schizophrenia did not appear until the end of the eighteenth century, and that they affected an always growing number of patients throughout the nineteenth century?12 How are we to explain that auditory hallucinations – the most important of these symptoms, if we are to believe Schneider’s symptom profile – also evolved, as to both their content and the frequency with which they were reported by the patients?13 Or again, that the Ibans of Borneo suffering from the “madmen illness” exhibit auditory hallucinations, but none of the disturbances of subjective thought so common among Western schizophrenics?14 How come the average duration of schizophrenia is much shorter in the Third World than in industrialized countries, as has been shown by several epidemiological studies of the WHO, and that it is much more likely to present with an acute onset?15 Why is there better recovery from schizophrenia in times of labor shortage,16 or when there is some psychosocial preparation before release from the hospital?17 How should we interpret the fact that Chinese “neurasthenics,” whose symptoms correspond to those of a severe depression, hardly respond to antidepressants?18 Obviously, genetics and biochemistry are far from explaining everything, and history, like anthropology, plays an important role here in correcting the biological psychiatrists’ unwarranted generalizations. Even the mental illnesses that are presumably biological in nature do not, it appears, escape from the variations of history. Under these circumstances, it would be foolhardy for historians to blindly place their trust in psychiatric categories when studying past psychopathologies or the cultural forms adopted in other societies by what we call “mental illness.” To do so would amount to projecting categories that are themselves relative, as when Charcot read the stigmata of grande hystérie in those of demoniacal possession, or when Freud, under the name of “Oedipus complex,” found in universal history the typical conflicts of the disintegrating nuclear family.19 As a matter of fact, today’s historians of psychiatry have become very aware of (and wary about) the snares of iatrocentrism. Generally, they tend to suspend all judgment on the validity of the psychiatric categories they deal with, in order to view them in strictly historical terms. They go beyond the narrow, specialized framework of the psychiatric field, situating the latter in its various social, political, and cultural contexts. For the study of the grand psychiatric theories, they substitute that of the actual practice of psychiatry – the daily practice of internment, clinical practice, diagnostic practice, and so forth. To the great founding cases, they prefer the study of psychiatric archives or epidemiological and statistical research. Lastly, and in a more general way, they are paying more attention to the patients and their experience of mental illness. specific point, subtly dependent on the psychiatric model that it elsewhere calls into question. Precisely because they take such care to extricate themselves from iatrocentrism, the new historians disallow themselves from making any judgment on what mental illness really is, thus enforcing the former separation of roles between the psychiatrist and his historiographer. This epistemic timidity is unwarranted, for historians of psychiatry are in fact in a position to say something capital on the subject of mental illness, namely that the latter is not, for the most part, an object of knowledge. If madness has a history, it is not only because each historical period, each society, each culture divides the reality of mental illness differently, as if the latter remained ideally the same “beneath” the various theories and practices that take it for an object. 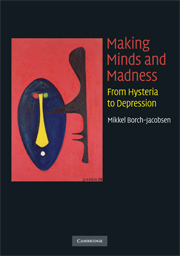 What the history of psychiatry teaches us daily is that so-called “mental illnesses” – including, to a certain extent, the organic or biological ones – vary in accordance with those theories and practices, to the point of disappearing before the gaze of the historian: one is not mentally ill in the same way here and there, and sometimes one isn’t ill at all. Whatever comparisons, for example, we might be tempted to make between Siberian shamanism and the manifestations of hysteria, of epilepsy, or of schizophrenia, the fact is that the shamans are neither sick nor crazy. Just like the Greek bacchic celebrants, the Thonga “mad of the Gods,”20 or the Hebrew nabi,21 they are sacred beings whose behavior is accepted, recognized, and ritually sanctioned by the society as a whole, and whose subjective experience is thus entirely different from that of a hysteric or a schizophrenic patient. Mental illness, however real it may be, does not exist apart from the various discourses and practices that make it exist. There are good reasons to believe that a similar process is at work behind the remarkable increase in depressive disorders since the late 1950s, which cannot simply and tautologically be attributed to a “depressive society”25 or to the new forms of “fin de siècle individuality.”26 Indeed, as David Healy has brilliantly shown in The Antidepressant Era,27 this explosion is strictly contemporaneous with the introduction of antidepressant medications. Far from their arriving on the market to treat a previously existing psychiatric disorder, these new drugs actually created it from scratch: modern depression, we might say, is a side effect of antidepressants. Now, this creation of a syndrome, which Healy describes a bit too readily as a result of marketing, obviously also requires a very active collaboration on the part of the patients. Indeed, unless we assume that depression was always there, waiting to be “revealed” by antidepressants, the patients must have recognized themselves in this new symptomatology and told themselves that they were indeed depressed. In choosing to become depressed, they seem therefore to have modeled their symptoms on the psychotropic medications that were reputed to act on those very symptoms. Patients, in other words, are not passive. As Gregory Bateson28 and the Palo Alto School,29 and more recently Ian Hacking,30 have emphasized, they react to the categories that describe them, either by rejecting them or by adopting new behaviors that in turn further confirm the categories, till, in a more or less random fashion, patients and doctors elaborate together a new psychopathological paradigm. The most striking example of this process is undoubtedly the American gay movement: classified as homosexuals at the end of the nineteenth century, certain individuals sharing the same type of sexual practices first recognized themselves in the medical category that was imposed on them; then organized themselves into a social group governed by a particular lifestyle; and finally, thanks to an intense lobbying effort, forced the American Psychiatric Association to abandon the very medicalization of homosexuality. In a more general way, the new phenomenon of patient advocacy groups, like the National Alliance for the Mentally Ill, has the great advantage of bringing to light an activism of the patients that was up till then concealed beneath the psychiatrists’ frozen categories: today, one can hardly have any doubts anymore as to the always profoundly negotiated nature of psychiatric entities. Far from being indifferent to the theories elaborated about them by the psychiatrists, the patients have a profound interest in them and they interact with them by adopting, rejecting, or modifying them. In other words, they participate in the construction (or the deconstruction) of the pathologies from which they are said to suffer. Now, if the patients thus collaborate in the discourse and practices of which they are the object, this clearly means that their mental illness is not some thing that we can observe and study from the outside. It is a behavior or idiom adopted by certain individuals to communicate (even if in the mode of non-communication) with some doctor or medical figure and, more largely, with the society that he represents. We must therefore avoid unduly objectivizing mental illness, as if it existed independently of the psychiatrist and surrounding culture. In reality, what we are dealing with most of the time are patients who interact with doctors and institutions, adopting their idiom or, on the contrary, creating a new one in order to have their complaint heard and their ill-being treated. This is true, not only of functional and “transient” mental illnesses, which are fundamentally relational, but also of organic or biological pathologies. Psychiatry deals neither solely nor even most frequently with sick bodies or brains, but rather with people with whom it interacts, and it is thus affected by all the familiar looping effects that mar the human sciences in general. To take only one example of these looping effects, we know that experimental psychologists despair of ever eliminating artifacts from their experiments because of what Robert Rosenthal calls the “experimenter’s effect”; that is, the propensity of experimental subjects to anticipate and confirm the experimenter’s expectations.31 Whatever one does, the experimental situation creates “demand characteristics” that influence the way in which the subjects react to the experiment.32 It goes without saying that this type of looping effect, already noticeable in the most neutral and most controlled experimental setting, will come to full flower in a clinical or hospital setting, where the patients depend institutionally and/or emotionally upon their doctor. Here is where the familiar mechanisms of iatrogenic suggestion or mental contagion find their trivial explanation – as does, incidentally, the so-called “placebo effect” and the “transference” of psychoanalysts. However aberrant or incomprehensible they might appear at first glance, the patient’s symptoms are always distress signals, calls for help, so they always have a tendency to conform in advance to the language of the doctor and the society from which the patient expects, if not a cure, at least the recognition of his ill-being. mental illnesses and “real” or biological ones unnecessarily creates an opposition (an ontological dualism) where there really is a continuum. Patients suffering from a biophysical illness are no less affected by the way they are perceived and treated than patients suffering from so-called “functional” or “psychosomatic” illnesses. The fact that the action of psychotropic drugs depends so much on the context in which they are administered is a good illustration of this: the body itself reacts to the therapeutic situation; that is, to the expectations shared by the patient and the doctor. All of this should be a warning for the psychiatrists: their diagnoses are an integral part of the “etiological equation” (as Freud called it) of the symptoms that they claim to observe. But this should also be a warning for historians of psychiatry. Indeed, they cannot claim to be immune to the looping effects that affect the psychiatric field in general. Whether it be in ratifying some psychiatric notion or, on the contrary, in relativizing and contextualizing it, historians, like it or not, intervene in turn in the global etiological equation that defines the psychiatric field at a given moment, especially if their work finds some echo among psychiatrists. To take only a single example, it seems clear that the publication in 1970 of Henri Ellenberger’s The Discovery of the Unconscious,36 with its reassessment of Janet and the “hypnotic” prehistory of psychoanalysis, was not without some influence on the return in the United States of the diagnosis of multiple personality and, more generally, of the traumatic-dissociative etiology of the neuroses.37 So it is not only the psychiatrists but also the historians who interact with what they describe. To write the history of psychiatry is also, inevitably, to make it. ideally be the history of those complex interactions that give rise, through feedback, amplification, and crystallization, to new psychiatric concepts and symptomatic behaviors – in short, to a new reality common to the psychiatrist, the patient, and the surrounding society. morbid hallucinations. Only after a long period of negotiation between the patient and her doctor did the treatment orient itself toward the recollection of past events, under the pressure of Breuer’s theoretical interest in the notion of hypnotic hypermnesia. The historian will therefore conclude that it was not recollection as such that brought on the temporary lifting of the symptoms, but rather the interaction – the “rapport,” as the magnetizers of old called it – between the patient and her doctor. Then, continuing his inquiry, the historian will find that this alleged “talking cure” in reality ended up in a complete fiasco and that it was only by systematically finessing that disastrous conclusion, which contradicted his own Charcotian and Janetian hypotheses, that Freud, starting in 1889, could test the “Breuer method” on patients such as Fanny Moser and Anna von Lieben and obtain from them “confirmations” that allowed him finally to convince Breuer to rewrite (in every sense of the word) the case of “Fräulein Anna O.” The historian will thus have showed how a treatment that initially had nothing whatsoever to do with recollection, and that, in addition, led to no long-term therapeutic result, was able to impose itself as the initial model of psychoanalytic treatment, at the end of a looping effect lasting thirteen years and involving no less than two doctors, two successive theories, and a whole pool of patients.42 In paying minute attention to psychiatric systems in the making, following the unpredictable sequence of exchanges between the symptoms and behavior of the patients, on the one hand, and the theories and practices of the doctor, on the other, the historian is thus able to bring forth the randomness and contingency that these same systems conceal once they are stabilized and rigidified.